MediaMation, Inc. (Booth 1069) is introducing three cutting edge technology products at this year’s IAAPA Attractions Expo in Orlando: A Flying Theatre (pictured above), two new REACTIVr games, and a turnkey ESports theatre for parks, casinos and FECs. 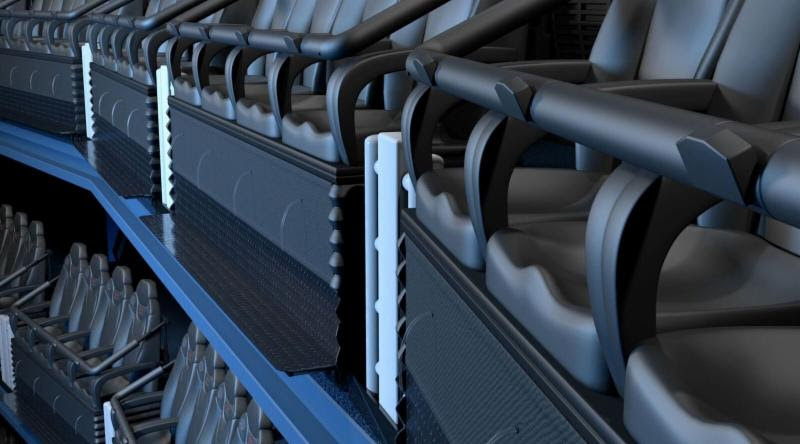 MMI’s MX4D® Flying EFX Theatre is a new take on an industry favorite. The company’s four-seat bench glides forward to allow rider’s feet to perilously dangle over the edge. MX4D Motion EFX technology combined with the state-of-the-art projection and sound immerse fliers in an experience unparalleled in the industry. The Full Dome Pro screen will surround riders with the edge-of-your-seat excitement of Alpha Flight, the latest film from Super 78. The silent, air-driven, pneumatic system offers a thrilling experience that moves beyond the standard flying theatre with the company’s full range of motion and effects. Utilizing its more than 25 years of growing technology, MMI has been entertaining guests in over 30,000 seats worldwide. Archangel is an award-winning Virtual Reality game from Skydance Interactive. This visceral, action-packed game puts players in the cockpit of a six-story mech and is the perfect fit for the MX4D bench system. HTC VIVE’s VR system combines virtual reality with movements that make players feel like they’re in the action. With 360-degree controllers, headset tracking, directional audio and HD haptic feedback, VR has never felt more real. The final product in MMI’s booth will be the debut of MMI’s MX4D ESports Motion EFX Theatre for attractions. 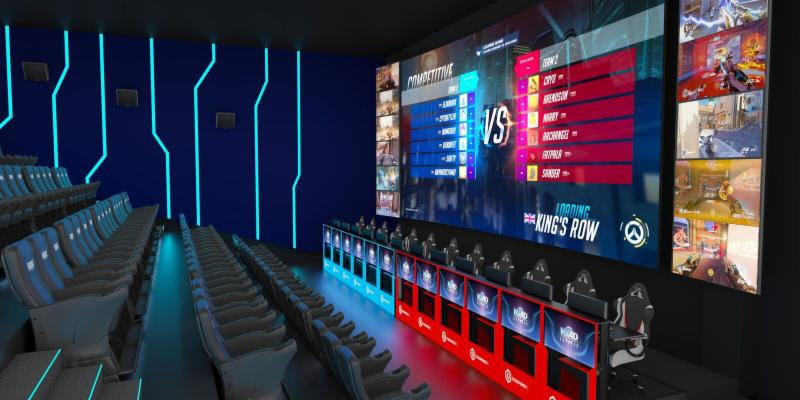 “Stow and Go” versatile gaming stations combined with a MediaMation MX4D theatre create a unique way to raise attendance and revenue within any existing venue. “ESports worldwide revenue is expected to reach $1.5 billion! We want to help parks capitalize on the growing trend,” says Jamele.